Some of the best and most timeless designs in the world are the ones based on purpose and function. 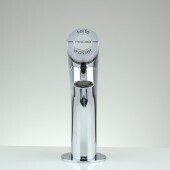 The miscea LIGHT simply and elegantly solves the need for separate soap or disinfectant dispensers which can be aesthetically unattractive over time. The ergonomic design fo the miscea LIGHT allows for uncomplicated use and maximum comfort and durability. We've taken the most advanced sensor technology and incorporated it into a sleek and modern faucet design for the most elegantly minimalistic result possible. The miscea LIGHT range of sensor activated faucets have an integrated soap dispenser engineered directly into the faucet for convenience and maximum hand hygiene benefits. Using fast and reliable sensor technology, it dispenses soap and water for a über hygienic and ergonomic hand washing experience. 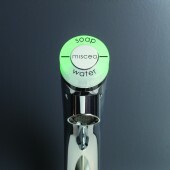 The built in soap dispenser is activated when a user’s hand passes over the soap sector. Soap is then only dispensed when a user’s hand is placed under the soap outlet of the faucet. Water can be received intuitively by holding your hands under the water outlet. In idle mode, soft pulses of light instantly create a calm and inviting ambience. The unique desing of the miscea LIGHT system allows it to be used with the miscea remote control for adjusting different fucntions to the desired settings. With an elegantly modern design, it perfectly complements any environment. The miscea LIGHT system has a very intuitive user interface and is very easy to use. To activate water, the user just needs to hold their hands under the water sector. 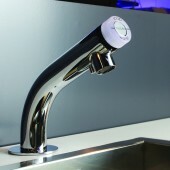 The faucet will immediately detect your hand and instantaneously water will start to flow. If you remove your hand away from the detection zone of the faucet, the water flow will stop automatically. To receive soap or disinfectant (depending on the model), simply activate the soap/disinfectakt sector on the top by holding a hand over the detection zone, then place your hand under the spout where you would instinctively go for water, and the soap should dispense directly into your palm. The project started in March 2012 and finished a year later in Berlin. It was on display and launched at the ISH 2013 trade event in Frankfurt, Germany. miscea products feature advanced infrared (IR) technology for proximity hand detection. Years of experience and product R&D has helped miscea to effectively harness this technology and apply it to achieve a high level of reliability. Light reflections in the sink and other highly reflective surfaces, as well as changing environmental light conditions have all proven to be major challenges. The software algorhythm for filtering the detected signal played a major role in this. After many years of product optimization and development, we can proudly say, that we have the most reliable and fastest responding sensor faucets in the world. Founded in 2003 miscea GmbH is a privately held company based in Berlin, Germany. 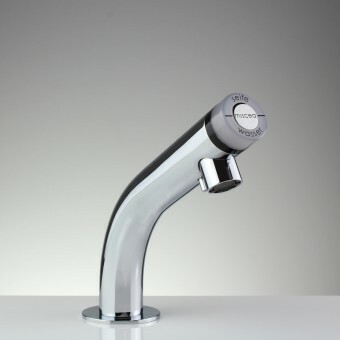 miscea specialises in the design and manufacture of state of the art sensor faucet systems. The company roots can be traced back to Augsburg, when in 1999, two engineers started the development of an improved dispensing system. The first miscea hand hygiene systems have been in operation since 2003 in high impact facilities such as medical and foodservice environments. 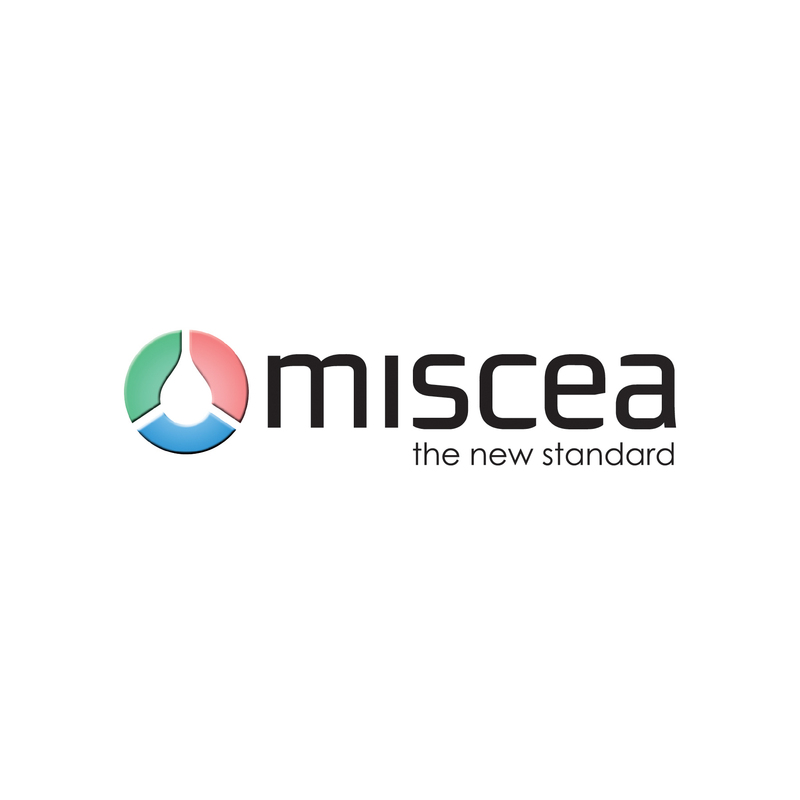 In 2013 miscea launched the current generation of faucets incorporating the company’s accumulated experience over the previous years. In addition, 2 new product ranges were also introduced for use in different industries. miscea products are available in over 10 different countries and has business units located in the Netherlands, France, Germany, and Switzerland. Miscea Light Sensor Faucet For Bathrooms by Rob Langendijk is a Nominee in Bathroom Furniture and Sanitary Ware Design Category. · Click here to register today inorder to be able to view the profile and other works by Rob Langendijk when results are announced. Miscea Light Sensor Faucet For Bathrooms by Rob Langendijk is Winner in Bathroom Furniture and Sanitary Ware Design Category, 2013 - 2014. · Read the interview with designer Rob Langendijk for design miscea LIGHT here. · Press Members: Login or Register to request an exclusive interview with Rob Langendijk. · Click here to register inorder to view the profile and other works by Rob Langendijk. Did you like Rob Langendijk's Sanitary Ware Design? 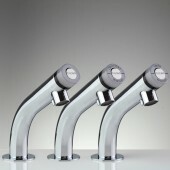 Did you like Miscea Light Sensor Faucet For Bathrooms? Help us create a global awareness for good sanitary ware design worldwide. Show your support for Rob Langendijk, the creator of great sanitary ware design by gifting them a nomination ticket so that we could promote more of their great sanitary ware designs.